O Captain! My Captain! 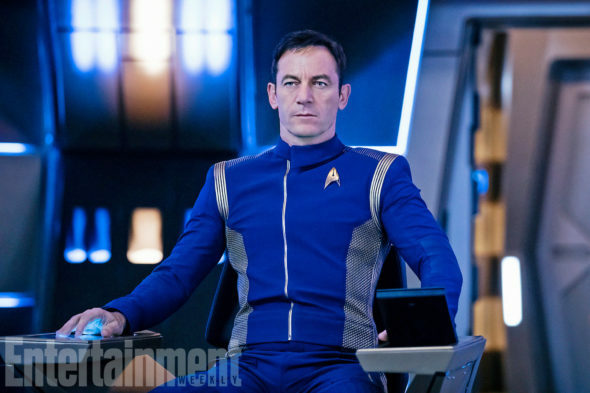 CBS All Access has put out a first look at Jason Isaacs as Captain Gabriel Lorca in its upcoming Star Trek: Discovery TV show. You could almost forget he played Lucius Malfoy in the Harry Potter film franchise, until you catch sight of his eyes. Check it out, below. The latest installment in the Star Trek film and TV series franchise, Star Trek: Discovery will premiere on the CBS broadcast network, and on the CBS All Access paid subscription platform, on Sunday, September 24, at 8:30pm ET/PT. Details here. The cast also includes: Mary Wiseman, Sonequa Martin-Green, Rainn Wilson, Doug Jones, Anthony Rapp, Michelle Yeoh, and James Frain. Check out the photo, courtesy of Entertainment Weekly. What do you think? Are you a Jason Isaacs fan? 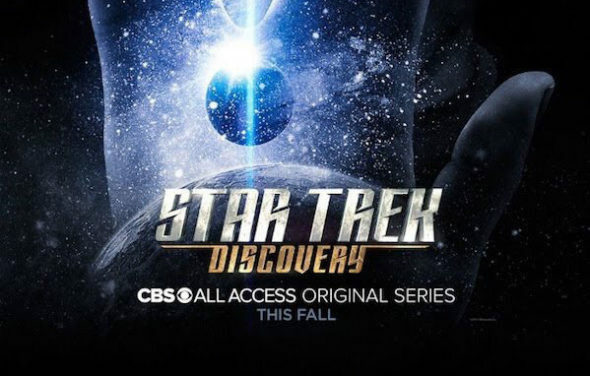 Do you plan to check out the Star Trek: Discovery TV series on CBS All Access? Let us know, below. If the stories are true, this will not work. It is my understanding that the neither the captain nor the mission nor the ship will be the central focus of the series, but rather a gay woman 1st officer? I am not discriminating nor have anything against women or gays, but this is hardly “star trek” material. Why don’t they change the title to the Pretty Little Liars go to Space? It’s about time that we saw something of Isaacs because up to now the brief trailers have focussed on others. My big problem with the Star Trek universe, so to speak is this continuous effort to move back in time, rather than carry on forward from TNG, Voyager and DS9. I think that the lessons should have been learned from Enterprise and this could yet be another gamble, rather than take the genre into new territories never explored. Right, in the series Enterprise they blew it by sending them to the expanse. If they insist on pushing them back in time, they should focus more on the early days of the Federation, events local to our solar system that could threaten earth, the days after/before “first contact”, exploring moons of Jupiter, orion belt, etc.. Something like Avatar but from the human point of view, instead of the Navi. Also, Isaacs is a great actor and casting as captain couldn’t be more perfect, but too bad the focus of the series is elsewhere. I can’t decide, is he wearing pajamas or a track suit? I am a Star Trek fan from way back, but unfortunaely unless it’s on regular or cable tv I won’t get to see it…. Oh well win some lose some….